The 333B is a Twenty (20) Mil Probe. 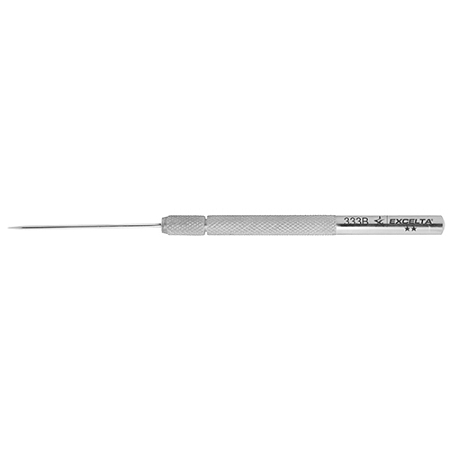 This probe has a Straight style with a serrated handle for better gripping power. The 333B is constructed from Stainless Steel, which provides corrosion and acidic resistance. The 333B measures 5" (125mm) in length with a 0.02" (0.5mm) Tip Size.